This is The Prophecy. The Prophecy is much more than seeing into the future. For The Prophecy sees without the limits of time. For The Prophecy sees what is, what was, and what always shall be. Iraqi populist Shiite cleric Muqtada Al Sadr condemned the Tehran-backed Shiite militias‘ support towards victims of flash flooding in Iran. „Iraqis come first,“ Mr Al Sadr said on Twitter, adding that there are many areas in Iraq that are at risk of flooding from torrential rain. „Since there are those who have provided relief to affected areas in Iran, it is our duty to intensify our efforts to provide relief to our people in Iraq,“ he said. Iran’s ambassador to Iraq, Irj Masjedi, told Iranian news agencies on Saturday that the Hashed Al Shaabi’s forces have been deployed to western Iran to help with flood relief. The shutdown comes after a request from Iran, Iraq’s Border Ports Commission said. Two small fires were started in southern Israel by balloons carrying incendiary devices from the Gaza Strip on Monday, the local fire department said. The blazes were quickly extinguished by firefighters. 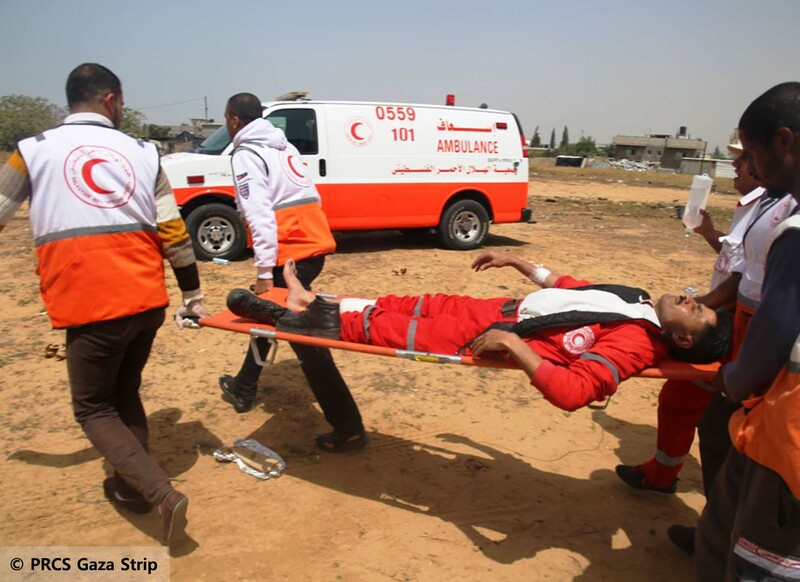 The arson attacks came amid a period of relative calm along the Gaza border, but also as terror groups in the Strip threatened to renew their violent activities on the security fence if Israel does not abide by an unofficial ceasefire agreement brokered by Egypt last month. One of the fires was located in a grassy area outside Kibbutz Be’eri, east of Gaza. The other was outside the nearby community of Shokeda. Once the fires were extinguished, investigators inspected the scenes to determine what caused the blazes. “The investigation found that the fires were caused by balloons,” the department said. For the past year, Palestinians in the Gaza Strip have been launching balloons carrying explosives and incendiary devices into southern Israel, sparking fires that burned thousands of acres of agricultural fields, forests and grasslands. This spring, farmers in southern Israel were encouraged to harvest their wheat early in order to prevent their fields from being burned in such attacks. Recent weeks have seen a significant decrease in the level of violence along the Gaza border with the start of the Egyptian-brokered ceasefire, under which Israel agreed to ease some of its restrictions on the movement of people and goods into and out of the coastal enclave in exchange for calm. Israel says the limitations on movement aim to prevent Hamas and other terror groups from transferring into Gaza weapons and materials used to construct tunnels and fortifications. In recent weeks, as the unofficial ceasefire began to take effect, the number of balloon-borne explosives and incendiary devices flown over the border dropped, though attacks have not stopped entirely. Nightly riots have ended, and the weekly protests along the border have been held farther from the security fence. On Sunday, the Israel Defense Forces said it was standing down the extra forces deployed to the Gaza border region during an uptick in violence last month. Terror groups in the Strip have threatened to renew the violence along the border if Israel does not continue to deliver on its promises. Jerusalem has thus far reopened its two crossings with Gaza and significantly expanded the permitted fishing area around the coastal enclave. The announcement of the designation of IRGC as a terror group by trump administration is an important development that makes Iranian officials tremble. The Iranian regime has entered a troubled period that risks considerably changing the international balance of power at the expense of the mullahs’ regime. In the same way, one of the main levers of the regime’s repressive policy will be undermined politically, militarily and financially. The Supreme Leader of the mullahs, Ali Khamenei, will observe a crushing defeat of the IRGC, which he considers to be the main pillar of the survival of his regime. During a meeting with members and associates of the Revolutionary Guards (IRGC), and in reaction to the U.S. State Department designating this entity as a Foreign Terrorist Organization (FTO), Iran’s supreme leader Ali Khamenei voiced his concerns over growing unrest that could very well lead to an uprising in Iran. The IRGC should remain high alert on the streets in cities and towns. “The IRGC is an outstanding force in the country. Whether from outside the country, or cities and towns inside the country, the IRGC is on the front lines fighting the enemy,” Khamenei said. The mullahs’ supreme leader is terrified of escalating social dissent from the scales of the flood disasters and unimaginable increase in the cost of living that could turn into an all-out uprising bringing down the regime in its entirety. “You look at the price increase of such an item in the market, it is normal for these things to happen. Part of it is unintentional, part from inexperience, and also partly due to the enemy’s evilness. These factors would join hands to suddenly increase the price of goods in the market,” he said. Khamenei also sought to prop up the moral of IRGC forces, growing terrified of the increasing social hatred and anger. “Well, we are a population of 80 million. From this 80+ million, some are kids and youth, some are, well, kind of dissidents that oppose the system. But a sufficient number of people are standing strong behind you,” he said. On the night of the IRGC designation as a terrorist entity, Khamenei, addressing IRGC members and their associates, backed away from his previous bullying about the so-called country’s nuclear energy (read clandestine bomb-making effort) and missile program. “We have forbidden the atom bomb. But these idiots keep raising the atom bomb issue before they acknowledge that we have said that we do not seek it. It is against our religious basis, against our teachings… Do you think that the clout and the power that the Islamic Republic has mustered has been due to the nuclear bomb? Or is it from our advancement in enriching Uranium? Not at all,” he added. Meanwhile, Iranians in Mashhad, Damavand, Pars Abad, and other cities protested against corrupt financial institutions affiliated to the regime. Plundered shareholders of Badr-e Toos in the northwestern city of Mashhad demonstrated in front of the regime provincial governor’ office in this city on Saturday, April 13 demanding their looted money be returned. They were chanting “Nobody has seen a government so irresponsible” and “I will get my money back, even if I have to die” among other slogans. In another news, about 200 truckers in the city of Damavand protested against low fuel ration. And Taxi drivers in the city of Parsabad-e Mogan protested against low fares and the high cost of livings. In another event on Apr.12,2019 residents of the Sheelang-Abad district in the city of Ahvaz, capital of Khuzestan Province, southwest Iran, took to the streets protesting the ruling regime’s inaction and refusal to provide any relief to the needy people in flood-hit areas. These locals are especially angry at the Revolutionary Guards (IRGC) for protecting its own facilities at the price of placing residential areas in danger. In the meantime Members of the “Resistance Units,” a network closely associated to the Iranian opposition group People’s Mojahedin Organization of Iran (PMOI/MEK), continue targeting icons of the mullahs’ regime across Iran on Apr.13,2019. Members of Resistance in Kermanshah, western Iran, set fire to a Revolutionary Guards (IRGC) Basij base. On Apr.13, In West Azerbaijan Province, northwest Iran, members of Resistance set fire to an IRGC Basij poster while chanting similar anti-regime slogans. Members of Resistance in Tehran set fire to a poster of the Ministry of Intelligence and Security (MOIS) containing images of regime founder Ruhollah Khomeini and current Supreme Leader Ali Khamenei. This action was in solidarity with flood-hit victims across Iran. Damaging earthquakes have occurred in New York and surely will again. The likelihood of a damaging earthquake in New York is small overall but the possibility is higher in the northern part of the state and in the New York City region.Significant earthquakes, both located in Rockaway and larger than magnitude 5, shook New York City in 1737 and 1884. The quakes were 147 years apart and the most recent was 122 year ago. It is likely that another earthquake of the same size will occur in that area in the next 25 to 50 years. A magnitude 5.8 earthquake in New York City would probably not cause great loss of life. However the damage to infrastructure – buildings, steam and gas lines, water mains, electric and fiber optic cable – could be extensive. Acceleration of the ground during an earthquake is more important than total movement in causing structural damage. This map shows the two-percent probability of the occurrence of an earthquake that exceeds the acceleration of earth’s gravity by a certain percentage in the next fifty years. If a person stands on a rug and the rug pulled slowly, the person will maintain balance and will not fall. But if the rug is jerked quickly, the person will topple. The same principle is true for building damage during an earthquake. Structural damage is caused more by the acceleration of the ground than by the distance the ground moves. Earthquake hazard maps show the probability that the ground will move at a certain rate, measured as a percentage of earth’s gravity, during a particular time. Motion of one or two percent of gravity will rattle windows, doors, and dishes. Acceleration of ten to twenty percent of gravity will cause structural damage to buildings. It takes more than one hundred percent of gravity to throw objects into the air. Iraq is considering blocking online multiplayer computer games due to an increasing obsession that has triggered fears of violence, crime and a decline in society. The cultural parliamentary committee submitted on Saturday a draft law that seeks to ban electronic games, in particular PlayerUnknown’s Battlegrounds (PUBG) and the Blue Whale that was reported to be an online “suicide game”. “The committee is concerned about the obsession over these electronic games that ignite violence among children and youth. Its influence has spread rapidly among Iraq’s society,” the head of the committee, Sameaa Gullab, said during a press conference in Baghdad. The request was submitted based on Article 59 of the constitution, she said. “We are proposing to parliament to block and ban all games that threaten social security, morality, education and all segments of Iraqi society,” Ms Gullab said. Iraqi media reported incidents of suicide and divorce related to the games during the last year. In depth reporting by local media on the craze has announced it has led to nearly 40,000 divorces worldwide and more than 20 cases in Iraq. “This issue requires immediate action by the authorities to ban this negative phenomenon through passing this draft legislation,” she said. The draft law will now be revised by parliamentary speaker Mohammed Al Halbousi. Iraq is facing a „youth bulge“, a demographic term applied to countries where the vast majority of the population is young, according to the United Nations Population Fund (UNFPA). Iraq’s young people makes up around 60 per cent of the country’s nearly 40 million population, and 17 per cent of men and 27 per cent of women are unemployed, according to World Bank figures. PUBG has more than 400 million players across the world. It was developed by South Korean company Blue Hole and is based on a first-person shooter battle for survival format. The game allegedly inspired an Iraqi teenager, 17, to commit suicide in January, Iraq’s Independent Human Rights Commission said in a statement. The boy’s family said his death was a “wake up call for the dangers that Iraqi children are being exposed to”. The development comes after Iraqi populist cleric, Muqtada Al Sadr, called for tighter government control to combat the “addiction”. “It saddens me to see our youth are brainwashed by PUBG,” Mr Al Sadr said on Twitter. “Iraq’s society is deteriorating as its youth are occupied by the fighting in PUBG’s battlefields,” he stressed. But teenagers in Baghdad consider playing the game as a way to keep them indoors and away from violence outside. „I have been playing PUBG for sometime now, I like it because it keeps me at home and away from trouble outside,“ Hassan Ahmed Ali, 21, told The National. Mr Ali says that parliament needs to consider a substitute for Iraqi youth to „keep us occupied“. PUBG is banned in Nepal and in the state of Gujarat in India over its association with violence. This war is looming on the horizon and may break out very soon – in a matter of weeks or in the summer. Regardless of the elections results this month and the subsequent slow and complicated political negotiation to form Israel’s 35th government in its 71 years since independence, the most important task that government will face will be to prevent a new war in Gaza. This war is looming on the horizon and may break out very soon – in a matter of weeks or in the summer. The Israel Defense Forces (IDF) under the new Chief of Staff (COS) Lt.-Gen. Aviv Kochavi is preparing itself for such an eventuality. Actually, all the war plans are ready. If a new round of violence erupts, it would the fourth war between Israel and Gaza in the last 10 years. On the Israeli side, it will be an all-out ground offensive, using tanks, armored carriers, secret operations by special forces, with massive air bombardment and fire by gunboats from the sea. The Israeli forces will probably use targeted killing tactics. Hamas and Palestinian Islamic Jihad (PIJ) will respond by launching a few thousand rockets, which they have amassed since the last war in the summer of 2014. Since Gaza is under joint siege by both Israel and Egypt, preventing the smuggling of weapons from Sinai, most of the rockets are self-produced by Hamas and PIJ engineers and manufactured locally. In the last few weeks, a few rockets were launched from Gaza, reaching Tel Aviv and 30 kilometers north of it. Hamas explained that they were launched “by mistake” or activated by lightning, which ignited and launched the rockets. Whether this is a genuine explanation or just a lie, it has demonstrated that Hamas’s rockets, even though they are not very accurate, have a range of up to 150 kilometers. They can reach and hit Israel’s major cities, including Beersheba in the south, Jerusalem in the east, Tel Aviv and its surroundings, as well as Ben-Gurion International Airport, and further north. Undoubtedly, they can inflict heavy damage on the Israeli home front. The IDF’s goal will be to carve up the Gaza Strip, which is a relatively small enclave squeezed between Israel and Egypt. Its total size is 365 sq km (140 sq mi) – 10 km in width from the Israeli border to the Mediterranean – and 66 km in length. Israel has completed construction of only half of its underground barrier with Gaza and an above-ground fence with electronic sensors and intelligence equipment. The other half will be finished in early 2020. But it is already assumed that most of the underground tunnels, which Hamas dug as its strategic weapon to infiltrate and shock Israel, have been exposed and destroyed by the IDF. Nevertheless, even without the tunnels, Hamas, PIJ and the other small renegade Salafist Islamic groups present in Gaza can provide strong opposition to the superior military machine of Israel and inflict blows on its advancing troops. According to the war plans, once Gaza is carved up – a maneuver which shouldn’t take more than 4-5 hours – the IDF will seal and encircle entire neighborhoods and villages, and engage in urban warfare moving from house to house to kill as many enemy combatants as possible, confiscating their weapons and destroying military bases and arms workshops. Such a battle in one of the most densely populated areas in the world (Gaza’s population is estimated to be almost 2 million) would be highly risky and costly to the civilian population and to combatants on both sides. In the last war in 2014, Israel’s casualties were 68 soldiers and six civilians. On the Palestinian side, the figures are less precise. Some 2,500 Palestinians were killed – roughly half of them civilians and half combatants – some 11,000 homes were destroyed and about 400,000 people escaped from their homes. War game simulations conducted by the IDF and independent think tanks estimate that in the next war casualties on both sides will be much higher. The main question, however, is what will be the exact instructions of the new government to the armed forces. Will the cabinet instruct the IDF to topple the Hamas regime? If it succeeds, and that is a big if, Hamas’s ideology is not going to disappear; so who will replace Hamas and form a new regime in Gaza? The Palestinian Authority(PA)? It’s very unlikely that it will agree to be persuaded by Israeli army bayonets to go back and rule Gaza. An Arab international regime? The probability is low. Egypt, which ruled Gaza from 1948 to 1967, refused to take Gaza under its wings after signing its peace treaty with Israel in 1979. Nowadays, it is even more stubborn about not wanting to govern this almost ungovernable place. Prime Minister Benjamin Netanyahu acknowledged that in his meetings with Arab leaders – not only from Egypt and Jordan, with whom Israel has peace treaties, but also from the rest of the Sunni world (I assume he was referring to the United Arab Emirates, Qatar, Bahrain, Oman and Saudi Arabia) – he raised this possibility, but his counterparts rejected it on the spot. Under such circumstances, if Israel conquers Gaza and topples Hamas, it will have only two real options. One is to withdraw and leave behind scorched earth, which will turn the area into a local version of al Qaeda or ISIS in the style of Somalia – with warlords, terror groups and chaos. The other option looks no more promising. Israel will have to reinstate its military rule and administration to feed the people, and take care of their education, health services and daily needs. Not to mention that Israeli right-wing extremists will demand that the government rebuild Jewish settlements and colonize Gaza. This was the situation from 1967 for almost 40 years when, in 2005, Prime Minister Ariel Sharon decided to launch his “disengagement plan,” in which Israel withdrew its troops, dismantled all settlements and handed over Gaza to the PA. A year and half later, Hamas took over Gaza in a bloody military coup against the PA. Yet the war scenario is not inevitable. It’s not God’s will. It can be avoided. It depends on the new Israeli government that is formed. The main reason that Israel and Hamas have found themselves in a new war of attrition since March 2018 is that both sides are not ready to compromise. There are a few serious problems separating the two sides from reaching a sensible agreement. Israel demands that Gaza be demilitarized. Hamas refuses. Israel requires as a precondition for a deal that the remains of two IDF soldiers and two citizens, who are most probably alive, will be returned. Hamas agrees but demands in return that Israel release from its prisons hundreds of its prisoners whom Israel calls terrorists and refuses to free. Hamas also demands that the Israeli-Egyptian siege be lifted and that all available Arab and international money be transferred to them to increase the supply of electricity (today Gaza has electricity for 8-10 hours a day), make water drinkable, build new roads and sewers, open workshops and reduce unemployment, which is currently at a level of 50%. No serious efforts have been made to break the deadlock. Both sides are entrenched in their positions. From the summer of 2014 to March 2018, the status quo prevailed and both sides of the border were relatively tranquil. Hamas felt that Israel led by Netanyahu sanctioned the status quo and refused to negotiate. To break it, Hamas launched a war of attrition using incendiary kites sent to burn fields in Israel, mass marches and violent demonstrations, with occasional sniper fire and the launching of rockets. Israel retaliated by firing live ammunition at the protesters as well as heavy air force strikes, killing some 250 Palestinians. An IDF soldier and one foreign worker were also killed. Netanyahu replied that everyone who opposes a Palestinian state should support his policy of appeasing Hamas by showering it with Qatari money. So far, the Israeli prime minister hasn’t officially backed down from his 2009 commitment to a two-state solution. But in his ideology, worldview and strategy, it’s clear that Netanyahu has done everything possible to prevent a unified Palestinian state in the occupied West Bank and in Gaza. In his election campaign, he vowed to annex settlements in the West Bank if he wins. His actions bear witness to it. He refuses to negotiate with the PA and is trying to weaken it. While giving money to Hamas, he deprives the PA of half a billion shekels ($140 million) of its own money held by Israel tax authorities. Netanyahu’s policy has been to divide and rule. He wishes to separate the Palestinians into two geographic entities and regimes and to create a wedge between them. By doing so he hopes to “kill” the notion of a Palestinian state, regardless of the heavy price the citizens of southern Israel pay for living in the shadow of instability and frequent outbursts of violence. More worrisome is that Netanyahu is ready to enslave the future of Israel to fulfill his dream and vision. If the next government does not reverse course, the fourth Gaza war will break out soon.